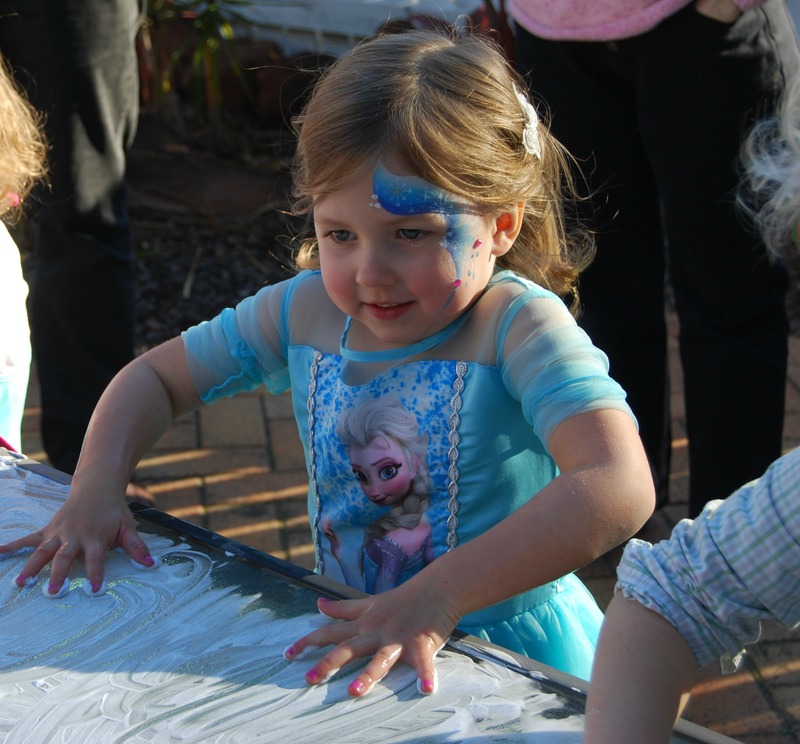 Charlotte's Frozen Third Birthday by Elise Easdown, Managing Director of Whats on 4 Little Ones Australia. 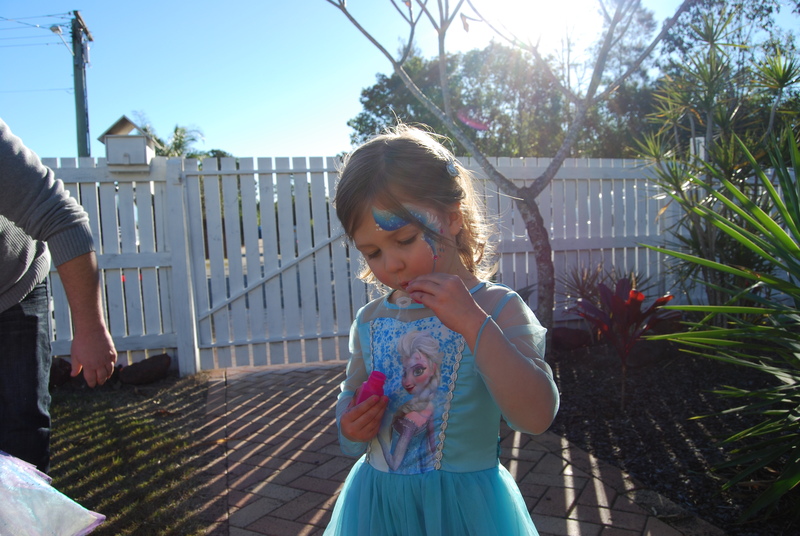 My daughter Charlotte along with millions of other girls around the world has fallen in love with the Disney musical movie – Frozen. I happily agreed to this theme choice for her 4th birthday as I knew it was going to be an easy one to plan for and naturally Pinterest became my place for inspiration. As the girls attending were going to be 3-4 years, I wanted to be keep it simple yet hands on and allow a range of activities to keep them busy. For entertainment, this is where the possibilities were endless! After welcoming the children when they arrived they were directed to the colouring activity. I had Frozen colouring in sheets from here. 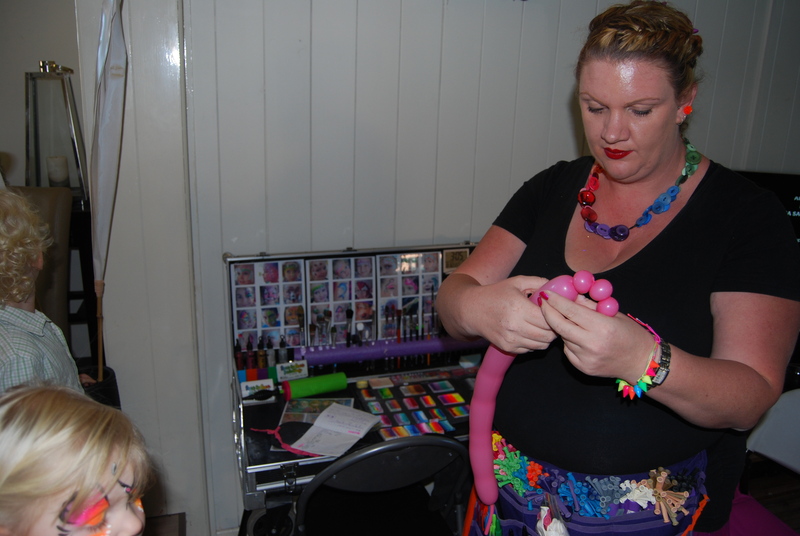 It was during this time our Face painter worked her magic and created Frozen inspired faces on the children. Mandy from Face to Face Painting by Mandy. 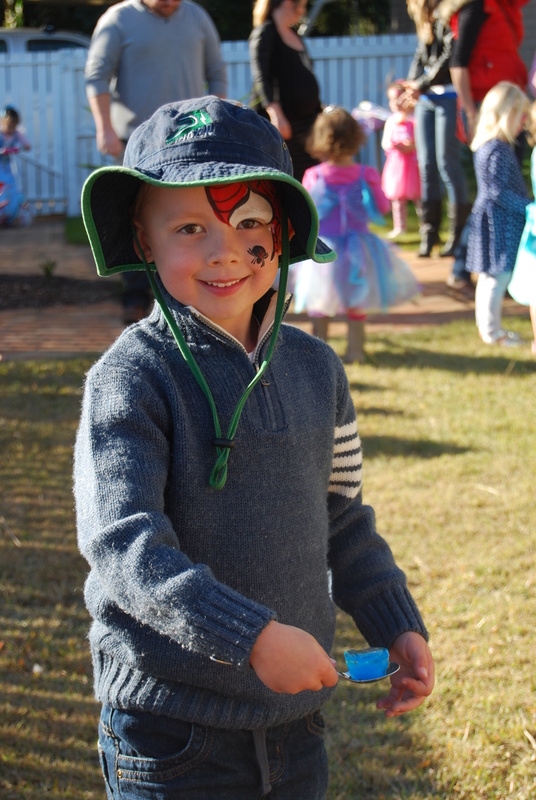 We used a fabulous Face painter (from Brisbane). Details can be found here. 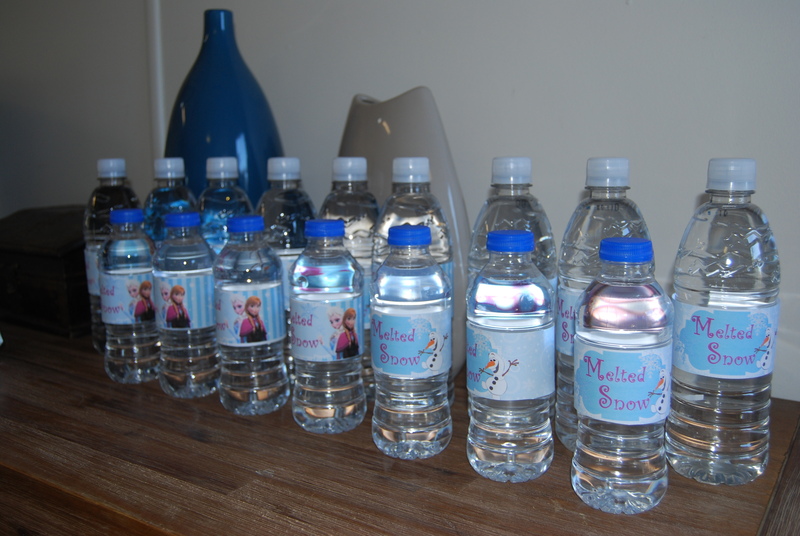 For the water, I purchased some bottled water from the supermarket and printed the labels myself. The drink label printables were from here. 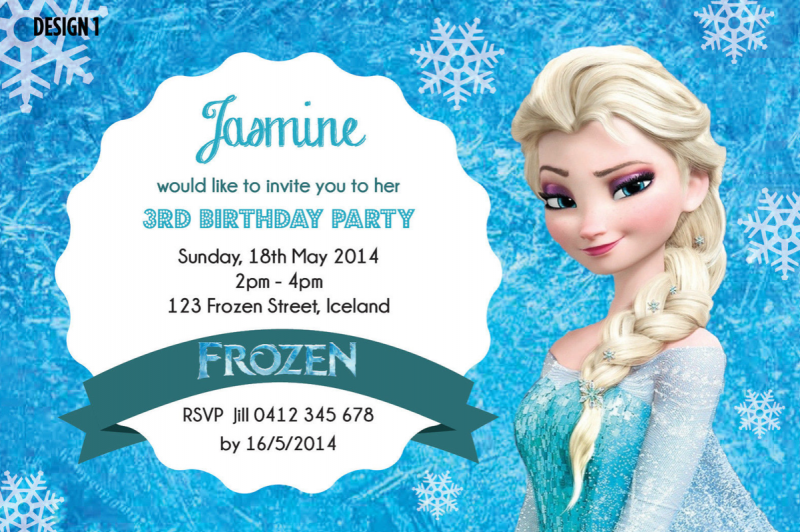 Firstly the invitations… I left these way too late to organise but was really happy with my choice of Elsa themed designs. The invites came with a magnet to attach on the back and envelopes, which could be purchased as well which I did to make it easier. They were also super cheap at a dollar each from here. Not a great photo, but they looked really pretty. We made sausage rolls for the kids and camembert cheese and quince paste quiches for the adults. 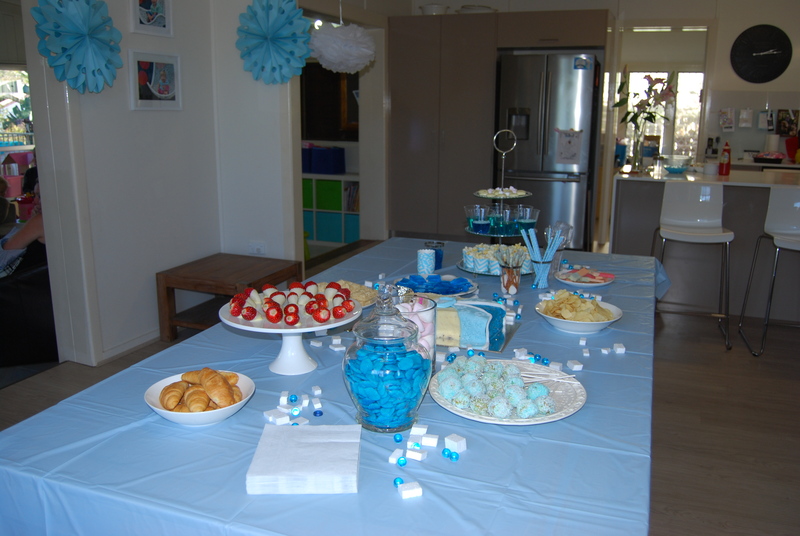 I then added a few sweet foods including strawberries (perfect this time of year in QLD) dipped in white chocolate (frozen hearts from the movie), blue jelly cups (ice), pretzel sticks dipped in white chocolate (branches with snow) and pink wafer biscuits, plain chips and blue lollies. Food wise – I cooked with the help of my mum in advance. 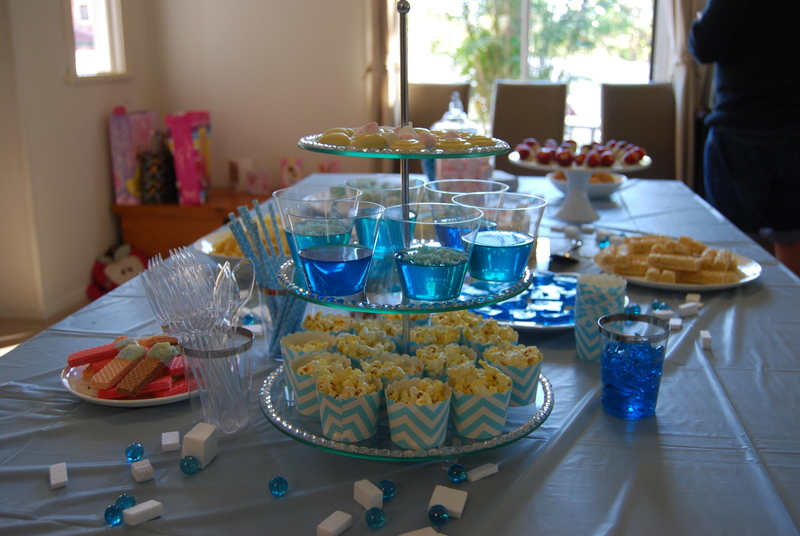 There was also pop corn in cupcake cases, white chocolate melted into mini heart shaped moulds, croissants, vanilla cake pops, marshmallows and LCM bars (I was planning on making these myself but ran out of time). 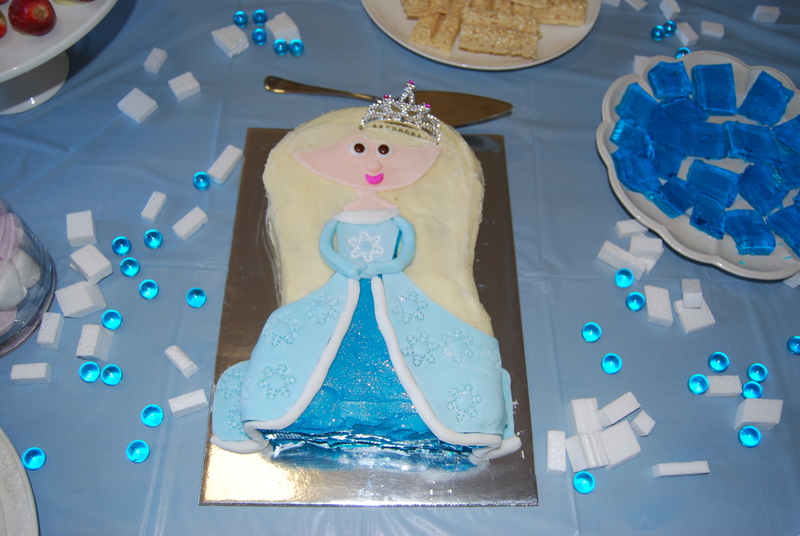 The Cake I went to reliable Cake 2 The Rescue (winners in our What’s On 4 Junior Awards for 2013 and 2014) and chose the Snow Flake Princess Cake Kit. You can’t really see it but the dressed was stamped with a snow flake cutter and glitter. I made this the day before and iced it on the day because the party was in the afternoon but I should have done it the night before to save some stress. 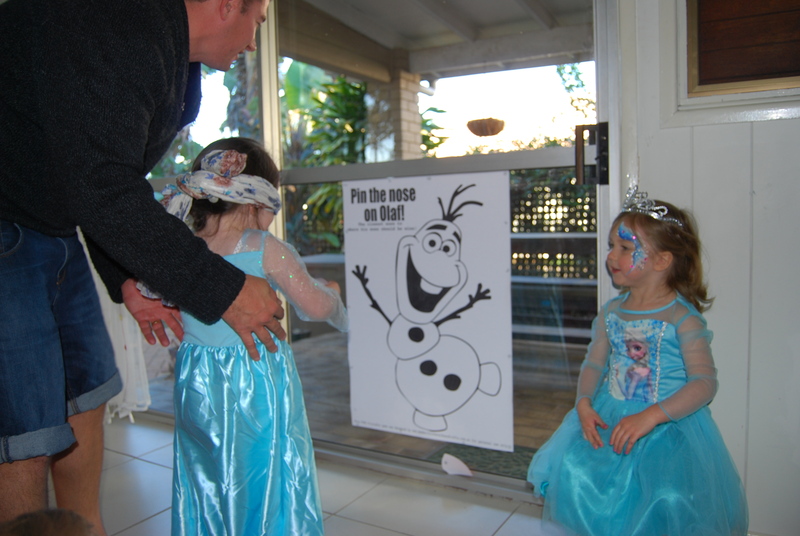 Everyone loved ‘Pin the Carrot on Olaf’. I printed it in poster size at Office Works for $6 and this included 2 sheets of the noses. The Olaf printable was from here. 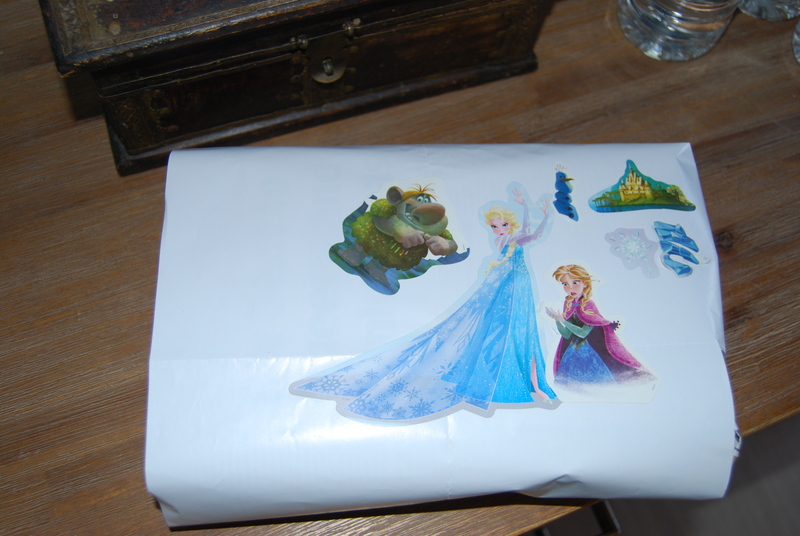 Pass the parcel was really simple – I wrapped up a pack of miniature bubbles (from Coles) with wrapping paper and my daughter stuck a few stickers on top. The bubble blowing then became an activity with Frozen music. 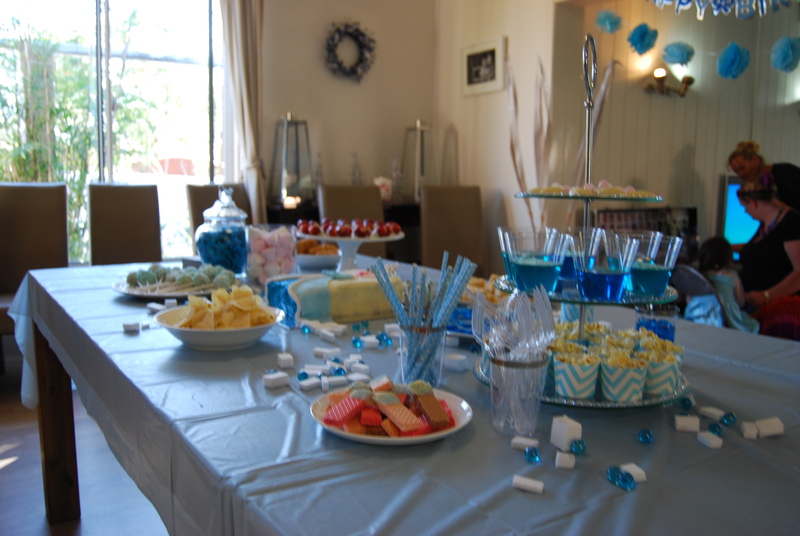 We had ice cube races (egg and spoon style), where I froze blue coloured water and glitter in ice cube trays. 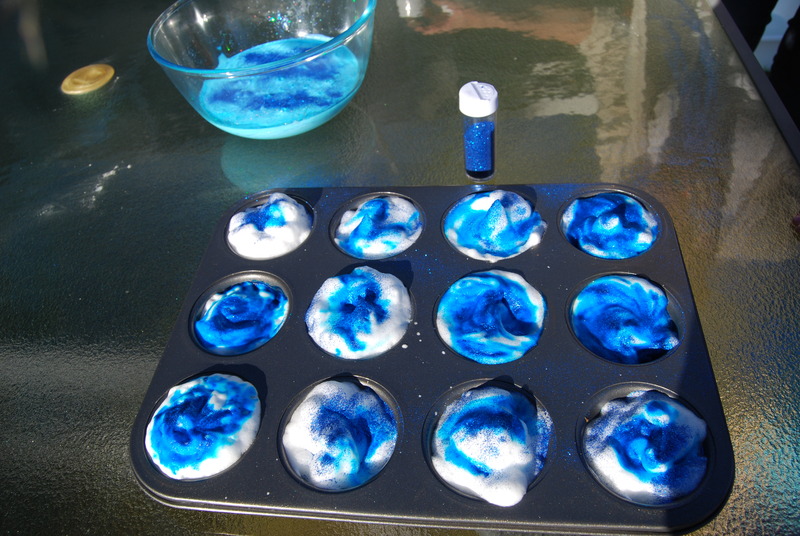 We then went outside to play with ‘snow’ – shaving cream with a few drops of blue dye and a glitter shaker and made some gloop as well. This was a very popular activity. 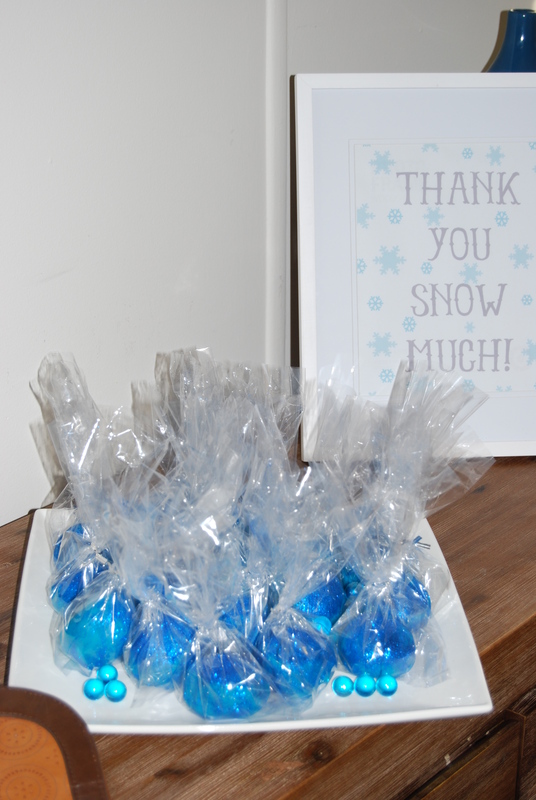 I used a cupcake tray to hold the ‘snow’. I got the Goop recipe from here and doubled it. This is obviously a messy activity so have some warm soapy water and a towel ready. For more Frozen inspiration follow our page on Pinterest here.